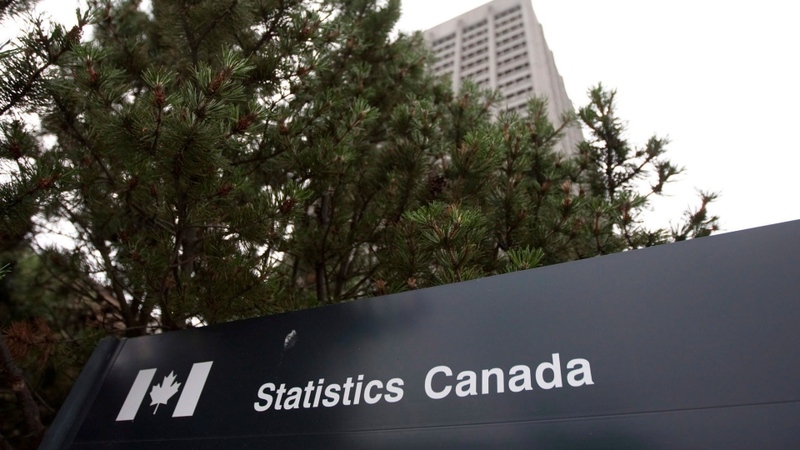 OTTAWA -- Statistics Canada's controversial plan to harvest personal financial data without people's consent is on hold until an investigation of the legality and intrusiveness of the project is finished, the country's chief statistician said Thursday. The federal statistical agency recently caught nine financial institutions off guard by informing them they were required to provide banking information from Canadians in 500,000 households across the country. Canadian law lets Statistics Canada compel public and private institutions, including commercial banks, to turn over data they hold. The ensuing public outrage has put a spotlight on Canada's privacy laws, which critics have called outdated and inadequate in an era where privacy fears are deepening and data is becoming an increasingly valuable commodity. The concerns have triggered heated political exchanges in the House of Commons, where opposition MPs have accused the government of state surveillance and authoritarianism. Under frequent grilling by the Conservatives, the governing Liberals have insisted the agency will protect Canadians' privacy while producing important, reliable data. The uproar has also stirred up serious concerns in the financial institutions that were contacted -- and prompted federal privacy commissioner Daniel Therrien to launch an investigation into the matter. Facing intensifying public pressure, chief statistician Anil Arora told a Senate committee Thursday that the banking-data project will not proceed until Therrien has finished his work and Canadians' privacy concerns have been addressed. "We have not received a single piece of information yet from any of those financial institutions," he told the committee, which held a special hearing to explore the issue. "Who do we share this information with? No one," Arora said. "The individual record is not shared with a minister, with a court, with law enforcement officers, CSIS, you name it -- nobody gets access to that individual record." 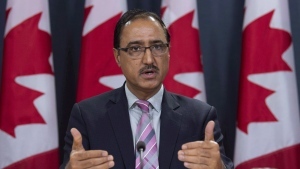 Arora defended the "pilot project" as part of Statistics Canada's efforts to modernize and improve its data-collection efforts, which are meant to help the agency continue providing high-quality information -- especially given the rapid expansion of the digital economy. For decades, the agency has provided key data to help guide everything from financial markets to the Bank of Canada to lawmakers drawing up social programs. The new plan, however, only became public following a recent report by Global News. Even Therrien, whose office was consulted on the project by Statistics Canada, said he had no idea about its scope until "very recently." "We were all struck in the recent news by the amount of data (sought) from a large number of dwellings in a very detailed way," Therrien told the Senate committee Thursday. "I think that's what strikes everyone -- large segments of the population -- as an important part of the issue." The investigation, which is expected to last months, will conclude whether Statistics Canada's plan is lawful or not, he said. The privacy commissioner also recalled his 2016 recommendation that the law be amended to authorize government agencies to collect data only when necessary, and when the breadth of the information gathered is proportional to the public-policy goals. That would bring Canada's laws in line with international standards, Therrien added. "I think it was certainly a surprise," Therrien replied after a pause. "We did not know about the numbers until very recently. I think this is a crucial fact." He continued by saying Statistics Canada took some steps to be transparent, "but obviously they fell way short." "I have to conclude, given where we are today, that the measures that Statistics Canada took were deficient on the issue of transparency, for sure," Therrien said. There were several attempts Thursday to score political points in the committee chamber. Carolyn Stewart Olsen, a Conservative senator, described the data-gathering plan as "almost totalitarian in its scope" and suggested many Canadians will begin to think we're living in an "Orwellian nightmare." Ann Cavoukian, Ontario's former information and privacy commissioner, told the committee she's been hearing concerns the section of the Statistics Act compelling institutions, like banks, to provide records to the agency could be unconstitutional. She said amendments are needed -- and it's not just a legal issue, but a moral one. "The prospect of surveillance on the part of government is very objectionable to most people, and it's viewed as a major invasion of their privacy and their freedom," Cavoukian said. "Justification for the need for personal data from Stats Canada does not justify extracting it directly from citizens' banks without their knowledge or consent." The committee also heard from Neil Parmenter, who heads the Canadian Bankers Association. He said the industry still has many serious concerns about the request and many unanswered questions. The banks welcome Therrien's investigation. Asked if the industry intends to take the matter to the courts, Parmenter said: "I wouldn't want to pre-judge and speak for individual actions, but I'd say all options are on the table."